You can add or remove boxes depending on how your sales staff evolves. HOMEBOX receives deliveries and alerts your sales staff when goods are received. You will be notified the moment your delivery has been received. Your goods have 24-hour security monitoring (video and trespassing detection). Self-service handling equipment (trolleys, forklifts) is available, as well as the sale of supplies and accessories that are useful to storage (moving boxes of all sizes, protective covers, other materials) and the option of renting utility vehicles at a special price. 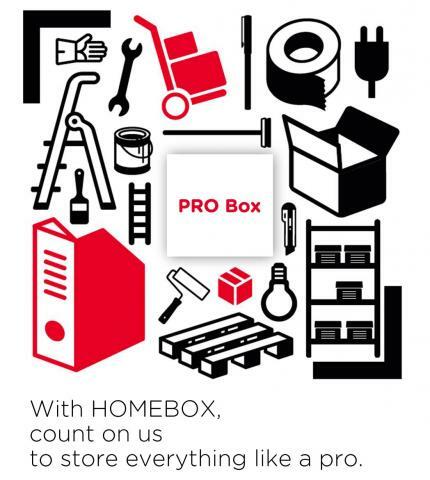 Opt for the PRO box!